Explanation: A road trip from Ankara to the Mediterranean coast southeast of Antalya, Turkey found clear skies and splendid scenery for astrophotographer Tunc Tezel's viewing of the 2001 Leonid meteor storm. 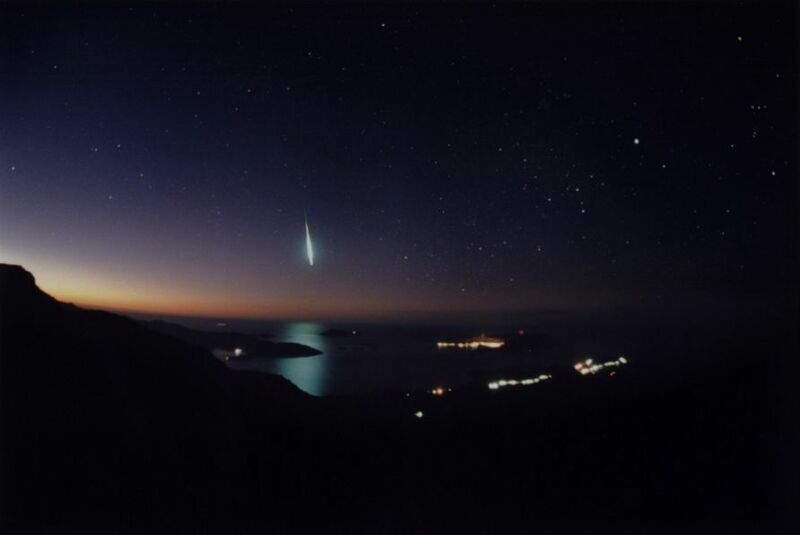 There he captured this dream-like image of a fireball meteor near the horizon's twilight glow, reflected in calm ocean waters. Lights from coastal dwellings and nearby islands are seen in the foreground with brilliant Sirius shining as the brightest star in the heavens, visible in the constellation Canis Major at the upper right. 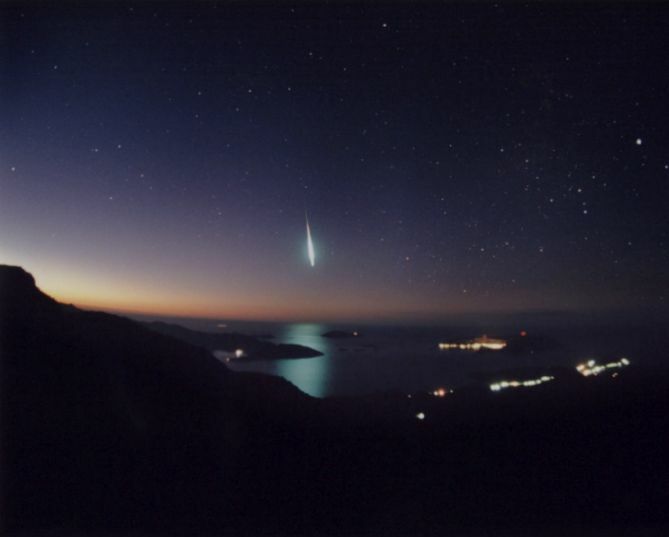 Many enthusiasts who made special trips to view this November's Leonids were rewarded with similar spectacles of the fireball-rich storm. Airborne astronomers too had much to be thankful for as Leonid observations from a specially equiped aircraft flying at 40,000 feet produced bountiful data on the chemical composition of these dust grains from a comet's tail.